10 years of editing, finalization, and cover creation have finally culminated in the publication of Einstein Sings: A Play in No Acts. Whether you have found this page because you bought the book (thanks for that, by the way) or you have stumbled here by some other means (e.g. searching for a video of the famed physicist doing karaoke), this page exists to give you more information about the play. By the way, if you haven't bought the play yet (and we think you really should), you can find it by clicking here: Einstein Sings on Lulu. Einstein Sings was begun in the spring of 1999 as its authors, Seth and Levi, were traveling from their high school to play rehearsal at another school in the same county. Our shared interests in screwball comedies like those produced by Mel Brooks, sketch comedy from Monty Python and the Kids in the Hall, community theatre, and stage plays in general eventually developed into this look into the kind of things that made us laugh. It was finally completed in 2009 and self-published through Lulu.com in November 2011. 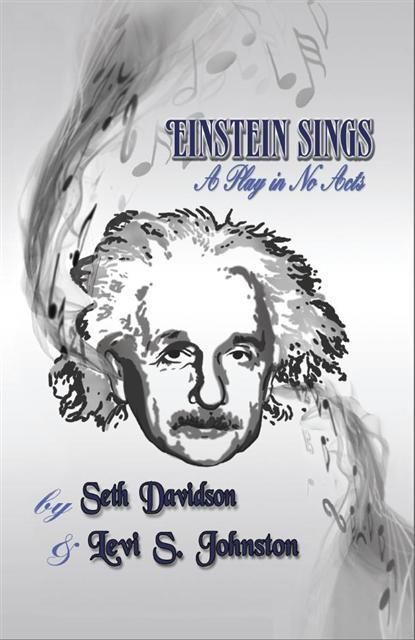 Einstein Sings is a full-length play composed of somewhat interconnected sketches. Many of these sketches are stand-alone scenes which make this play an excellent resource for never-before-performed one act scenes, monologues, and competition pieces. Furthermore, it would be a great experimental addition to your local theatre schedule.